You guys, on the very last day of April, I discovered April is National Garlic Month! 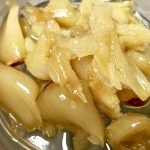 In honor of this clearly important and serious holiday, I thought I would share my go-to Roasted Garlic recipe. Roasted Garlic is extremely versatile and is great for hummus and dips (recipe to come later this week! ), mashes, and GARLIC BREAD. Need I say more?? 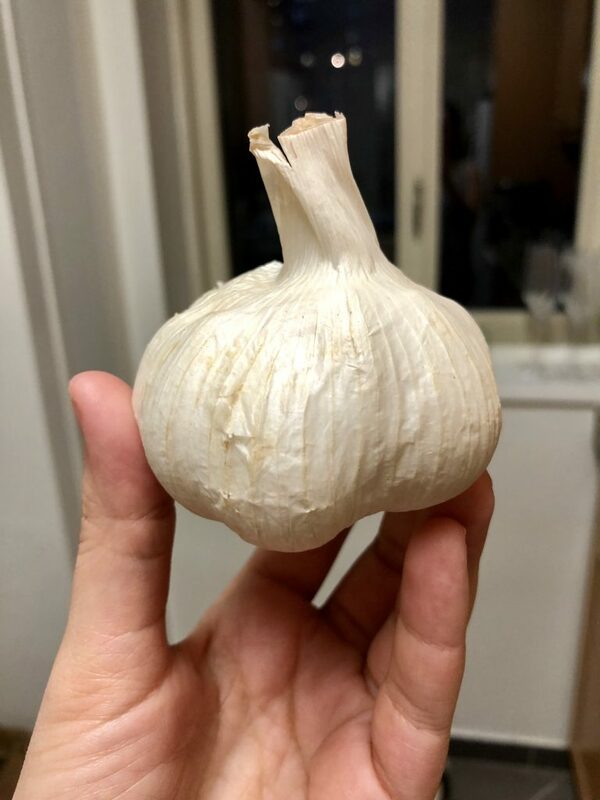 Remove the outermost papery layers of the garlic head, without detaching the cloves. 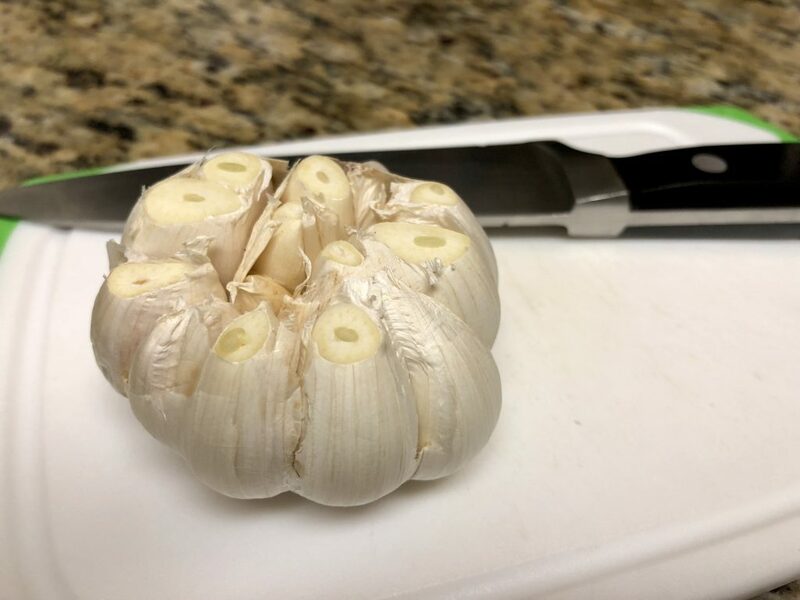 Cut the top of the garlic head off, exposing the tops of the cloves. Take a sheet of aluminum foil and foil up the sides slightly. 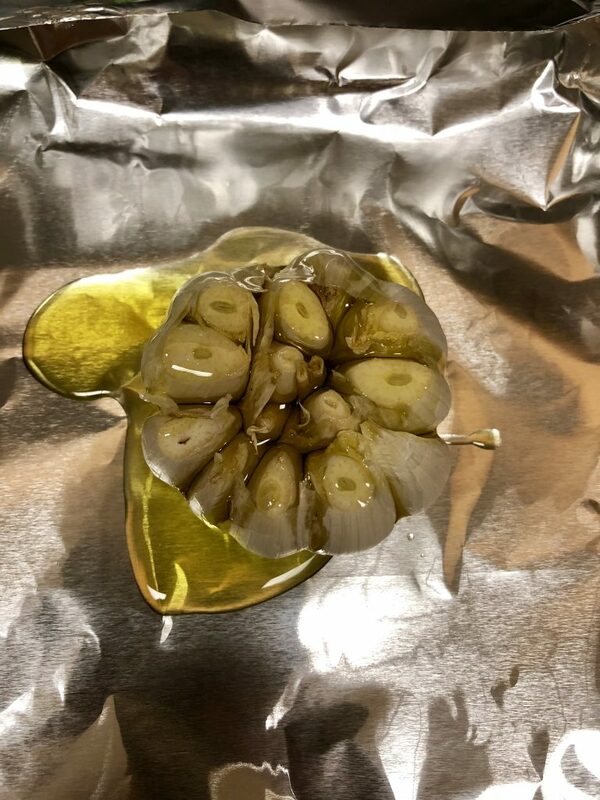 Place the garlic head in the middle of the foil and drizzle the olive oil over it. 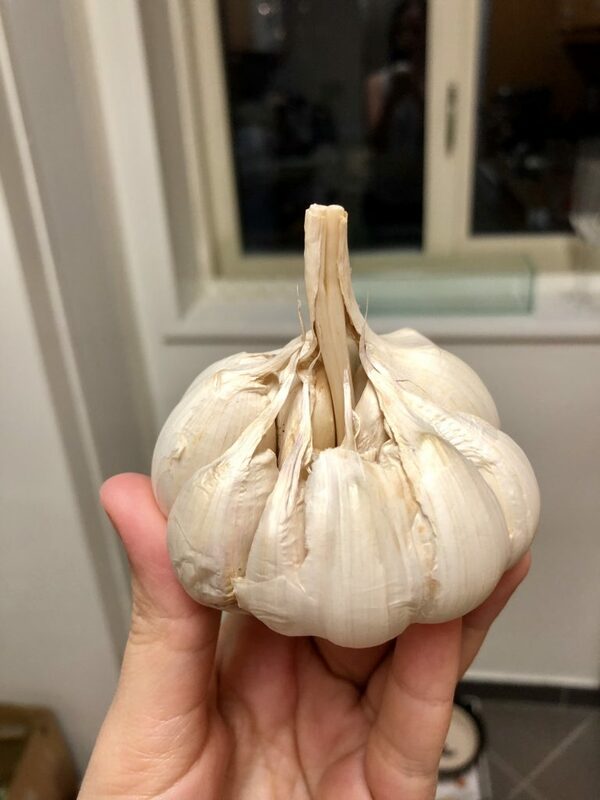 Wrap up the foil around the garlic to form a case. Place the garlic head/foil into a loaf pan (or any pan) and bake for 40 minutes. Your home will smell heavenly! Let cool, and squeeze the roasted garlic cloves from the paper skin. NOTE: Roasted garlic can be refrigerated for up to 2 weeks or frozen for up to 3 months. Follow me on Instagram and tag #500spatulas so I can see all the recipes you make. 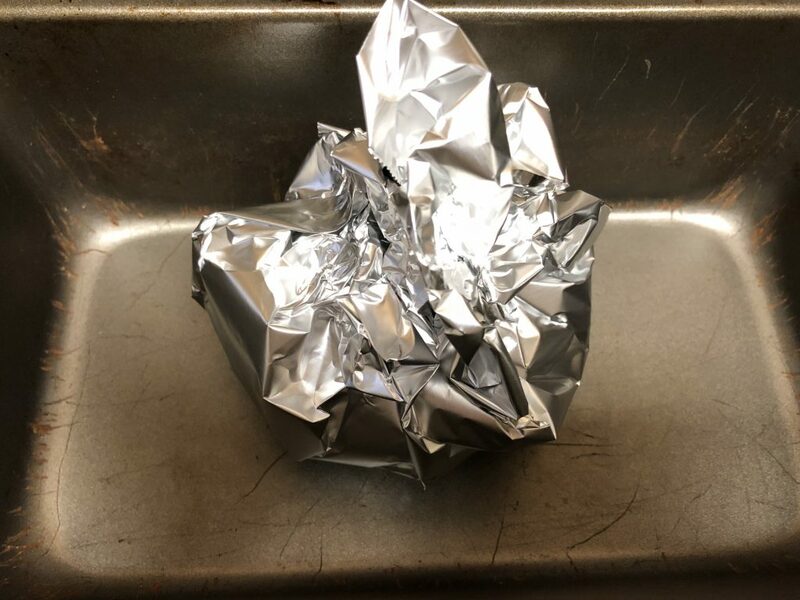 Take a sheet of aluminum foil and fold up the sides slightly. Place the garlic head in the middle of the foil and drizzle the olive oil over it. 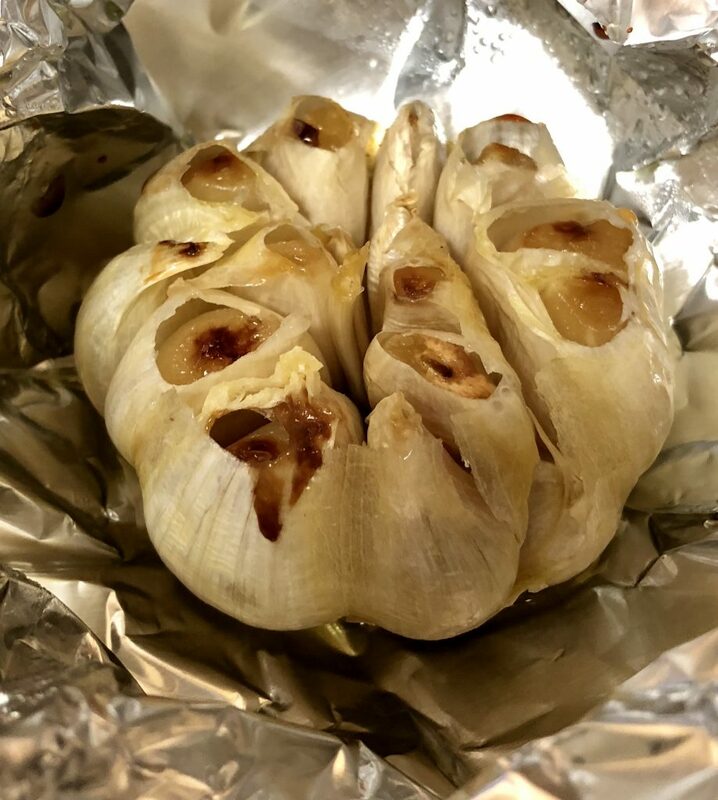 Wrap up the foil around the garlic to form a case. 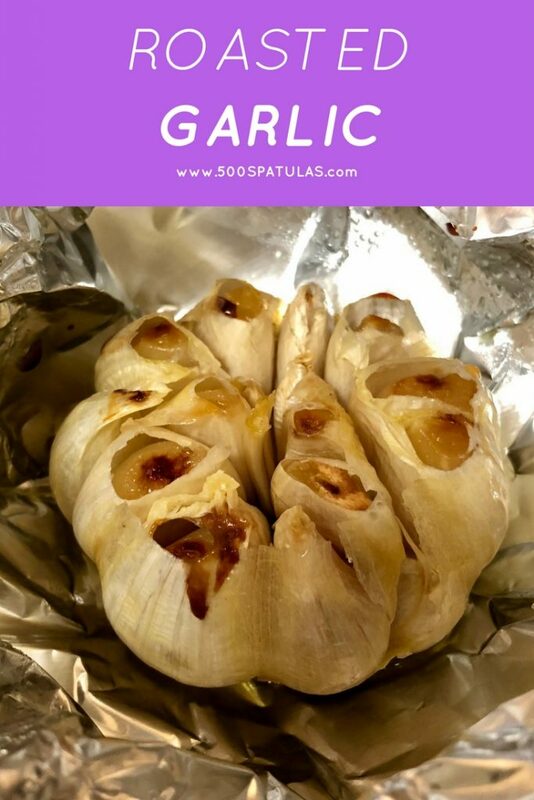 Place the garlic head in foil into a loaf pan and bake for 40 minutes. Let cool, and squeeze the roasted garlic cloves from the paper skin. Enjoy! 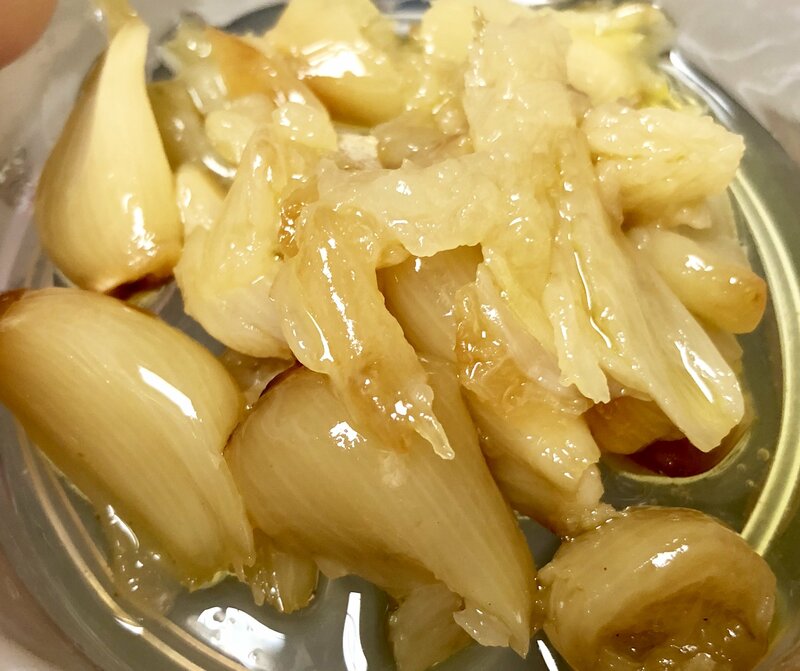 Roasted garlic can be refrigerated for up to 2 weeks or frozen for up to 3 months.